1) It was the first manned maiden test flight of a new spacecraft. 2) It was the first flight of a reusable spacecraft. 3) It was the first spacecraft to land on dry land as opposed to landing in the ocean. 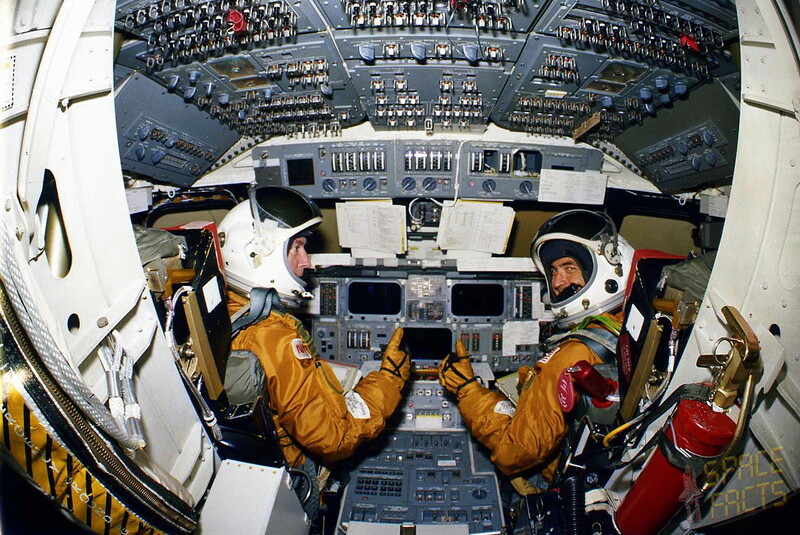 4) It was the first American manned spaceflight since the final Apollo-Soyus Test Project flight on July 15, 1975. The mission was generally hailed as a success, although not without a few glitches. Tiles were lost from each of the two OMS/RCS pods and, more worryingly, the heat shield was damaged when an overpressure wave from the solid rocket booster forced the shuttles “body flap” (a protrusion that extends under the three main engines and controls pitch during re-entry) more than five degrees out of position and into an angle which was far beyond the point that cracking or rupturing of the hydraulic system would have been expected and had such a rupture occurred, a controlled descent would have been impossible. John Young later said that had he been aware of the potential for something catastrophic to happen he would have ordered an ejection once Columbia had reached a safe height. Columbia flew a total of 28 missions totaling 300 days in space, 4,808 orbits and 125,204,911 miles before being lost upon re-entry on January 16, 2003, after a piece of foam struck the right-wing’s leading edge, knocking a hole in the thermal protection system and allowing hot gasses to enter the wing during re-entry. All seven crew members (Commander Rick D. Husband, Pilot William C. McCool, Payload Commander Michael P. Anderson, Payload Specialist Ilan Romon, Mission Specialist Kalpana Chawla, Mission Specialist David M. Brown and Mission Specialist Laurel Blair Salton Clark) were lost in the disaster. Below is a NASA documentary entitled “A Remarkable Flying Machine” about Columbia’s historic first mission. It’s well worth your time if you’ve never seen this.